With eight people to feed, I’m all about easy. Nothing’s easier than dumping ingredients into my Crock-Pot in the morning and having dinner done. The bonus is we get to smell it all day! Make it even easier on yourself by using a Crock-Pot liner so clean-up will be a breeze. These are six crazy easy recipes my family loves. I hope yours will, too. This is so easy, it’s really not a recipe. But that’s what we need, right? A quick, healthy dinner that everyone loves. For my family of 8, I add three pounds of round steak or one bag of rinsed frozen chicken breasts and two regular-sized cans of diced tomatoes with green chiles to the crock-pot on low for 8-10 hours. I end up with taco meat for one dinner and one lunch. If you don’t have tomatoes with green chiles, you can add salsa or plain tomatoes with a packet of taco seasoning. It’s impossible to mess this up. Serve with taco shells, tortillas, or with lettuce for a salad. Add your favorite Mexican garnishes. Note: Adding a cup of warm water to frozen meat prevents food safety problems when Crock-Pot cooking. A can refers to the standard size (i.e., 10.5 oz. soup can). Staying with the ridiculously easy theme, BBQ chicken sandwiches are what I serve when I’ve already had tacos and I don’t know what else to make. It’s a fabulous option for entertaining as well. For 8 servings, just add a bag of rinsed, frozen chicken breasts with a bottle of your favorite barbecue sauce to the slow cooker. Cook on low for 8-10 hours. Shred with two forks or use the paddle attachment on your mixer. Serve with the bread of your choice. This would make a great salad, too. Few meals are as comforting as this dish! And what’s even more comforting is that you can prepare it in no time. To serve 8, add 4 chicken breasts (frozen are ok), 2 cans condensed cream of chicken soup, 2 T butter, and one finely diced onion. I love my onion chopper for this purpose. Cover with water. Cook for 4.5 hours on high if using fresh chicken or 5.5 if using frozen. Add two 10-ounce cans of refrigerated biscuit dough torn in pieces to the top and continue to cook about 30 minutes or until dough is cooked through. I found the recipe pictured above on Pinterest and it was easy enough that my husband could make it. That makes it a winner right there! The chicken is moist and delicious. And did I mention it was easy? I made this recipe the first time for company (I know, dumb), and fortunately, it was a hit. I’ve since purchased the little dishes for the au jus for my family and I feel all ooh-la-la even though the cooking was effortless. For my family of 8, I add a 3-pound beef roast trimmed of fat, 1 can condensed French onion soup, 1 can condensed beef consumme, 1 can beef broth, and 1 tsp. beef bullion (or one cube). If you can’t find the consumme, another can of beef broth works fine. Cook on low 8 hours. Shred with fork or using mixer with paddle attachment. Serve on French rolls with a side of au jus. Most of the time I prefer easy, but I’m a competitive person, too. So when my neighbor and I were vying for the title of champion chili maker, I pulled out all the ingredients. There are times when you just have to do that! I used the Boilermaker Tailgate Chili recipe from AllRecipes.com and subbed turkey sausage and made it in the crock-pot. I won’t lie to you. This recipe isn’t hard to make, but it took a long time. The result? A blue ribbon for me! Save this recipe for the times you want to impress. 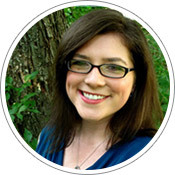 Dr. Melanie Wilson is a Christian psychologist turned homeschooling mother of six. She blogs at Psychowith6 where she shares her crazy easy Once-and-for-All Meal Plan ebook with subscribers. Want to see the entire 31 Days of Unforgettable Recipes series? Just click the banner below to see the full list! Don’t miss the slow cooker soups round up in the list! Thank you so much for sharing this. I love finding new recipes for Crock pot meals. I love using my Crock Pot, especially as the colder months move in and my family is in the mood for warm, hearty dishes. One of my favorite crock pot dishes to make is beef stew. Thanks for sharing all of these recipes. I most want to try the Chicken and Dumplings as well as the Award Winning Chili.